Wolverine. Logan. James Howlett. Patch. Whatever you call him, the facts remain the same: Wolverine is the best there is at what he does—and what he does isn't very nice. Oh, sure, Wolverine might fight on the side of the angels now—most of the time, anyway—but over the past 120 years he's been hunted, tortured, experimented on, and forced to live in the woods like an animal. He fought in World War I, World War II, and Vietnam. He spent time as a secret agent for the government, and when that fell through, he was brainwashed and turned into a living weapon. Even as a superhero, things didn't get much better. Wolverine has had the adamantium torn out of his body by Magneto. He's travelled to Hell—and back. He's died multiple times. A person doesn't go through all that and emerge perfectly sane, and with Logan's hair-trigger temper and "punch first, ask questions later" attitude, it's no surprise that he's committed some truly heinous acts. Don't judge. Logan has been damaged goods since day one, and while he slips up every now and then, he's doing the best he can. Wolverine has a whole gaggle of children—that's just par for the course for a near-immortal with poor impulse control—but Daken is one of the few who truly followed in his father's footsteps. Like Wolverine, Daken was born with a mutant healing factor, leaving him impervious to wounds, and sharp retractable claws. Like Wolverine, Daken was trained as an assassin, and like Wolverine, Daken joined the ranks of both the Avengers and the X-Men. 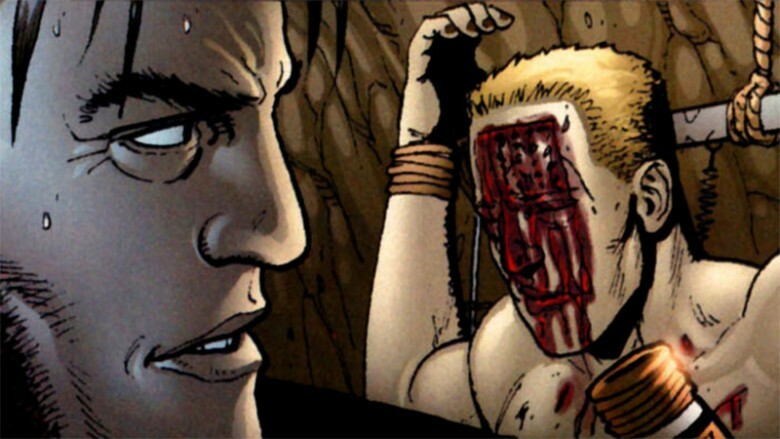 Unlike Wolverine, however, Daken is a straight-up bad guy, and he hates his father. After a number of failed assassination attempts, Daken finally subdues Wolverine in Uncanny X-Force #34, after Daken revives the Brotherhood of Evil Mutants in order to free the teenage reincarnation of Apocalypse. Daken traps Wolverine in a tank of water—healing factor or not, Logan still needs to breathe—and taunts his father as Logan runs out of air. But at the last minute, Deadpool gives Wolverine mouth-to-mouth, saving his life, and Wolverine hunts Daken down. 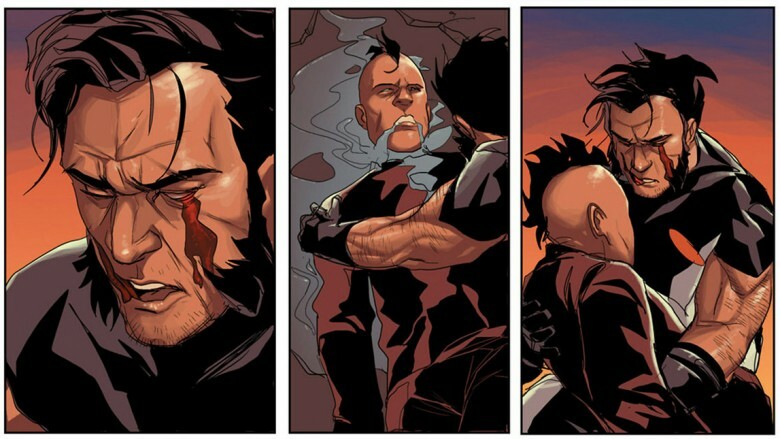 The following brawl is violent but quick, and as Wolverine holds Daken face down in a puddle of water, drowning him, he reflects on the life that he and Daken could've had if only Wolverine had been there for him. Wolverine's vendetta against his own flesh and blood doesn't start or end with Daken. In Wolverine: Origins, James Howlett—the boy who would grow up to be Wolverine—kills his biological father, Thomas Logan, after Logan murders Wolverine's adopted dad. And then there are the Mongrels, a team of supervillains that made its big debut in Wolverine #1, when, thanks to some demonic shenanigans, Wolverine is stuck in Hell. As Wolverine's possessed body causes havoc for the X-Men and Logan himself battles his way out of the underworld (and confronts some unfriendly faces from the past along the way), the Red Right Hand—a group of villains united by grudges against Wolverine—torment everybody he's ever loved, with the Red Right Hand's leader, the Old Man, and the Mongrels on the front lines. Once Wolverine returns to the land of the living and gets his body back, he goes after the Red Right Hand directly. Logan guts Cannon Foot, the first of the Mongrels, and quickly dispatches Shadowstalker, Fire Knives, and Saw Fist as well. Finally, as the final Mongrel, Gunhawk, bleeds to death on the floor, he reveals the Red Right Hand's master plan: they don't want to kill Wolverine. They want to make him hurt. The members of the Red Right Hand poison themselves before Wolverine arrives, and as Wolverine wanders among their lifeless bodies, a pre-recorded message plays: the Mongrels, who Wolverine butchered, were his children. "Now, at last, you know what it's like to be us," the Old Man cackles. "Welcome to the Red Right Hand." Ultimate Spider-Man #66 starts off like any old body-swap comedy—Wolverine and Spider-Man wake up and realize they've switched, with hilarious shenanigans to follow—but the story takes a decidedly sinister turn when Wolverine meets Peter Parker's girlfriend, the still-in-high-school Mary Jane Watson. Wolverine isn't too happy to be in Peter's body when he first rolls out of bed, but that changes when Mary Jane arrives and greets Peter with a smack on the lips. We don't see what happens next, but the way that "Peter" pulls Mary Jane closer—and the downright evil look on his face—tells us all we need to know (at the end of the story Mary Jane asks Peter, "That thing you tried to do this morning, can we not do that till we're older?," just in case it wasn't clear). In fact, Wolverine spends most of his time in Peter's body leering at underage girls—"They let them walk around like that?" he asks while smirking at some cheerleaders—and it turns out Wolverine's unchecked libido is the reason everything went bad in the first place. The X-Men's Jean Grey (for the record, also a redheaded teenager) switched Wolverine and Spider-Man's minds after Wolverine wouldn't stop hitting on her. Jean tells Logan that he's going to learn how to treat women with respect before she puts everybody's minds back where they belong, but when Cyclops asks Wolverine how his day at high school went, Wolverine just smirks—not exactly the behavior of someone who learned his lesson. Technically, Wolverine's vampiric transformation didn't actually happen, but given how momentous this story is, we'll let that slide. After all, there's no question that looms quite as large in the modern age as the one asked by the Watcher in What If #24: "What if… Wolverine had become lord of the vampires?" In Uncanny X-Men #159, Marvel's merry band of mutants took on Dracula himself, with Storm delivering the final blow via lightning bolt—but it didn't have to go down that way. As the Watcher explains, in another reality, Dracula killed Storm and turned the X-Men into vampires, who he hoped to transform into super-powered servants. 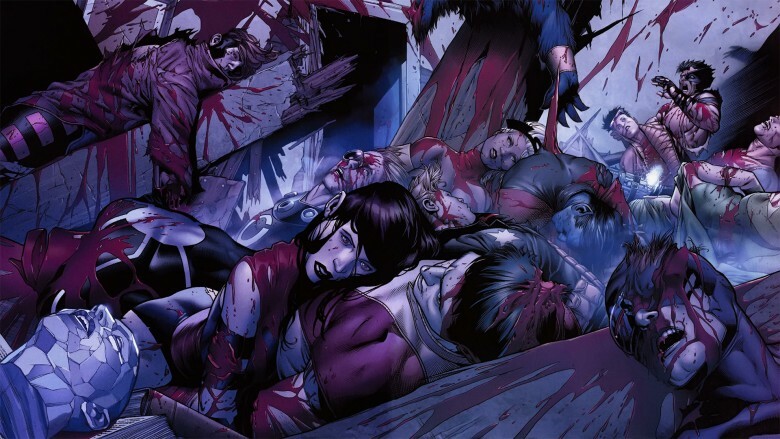 Even undead, however, Wolverine isn't much of a team player, and a couple of minutes later, Dracula's head is separated from his body and Logan proclaims himself king of the vampires. Under Wolverine's direction, the infected X-Men go on a rampage, decimating foes (like the Hellfire Club) and friends (such as the the New Mutants) alike. Doctor Strange poses a problem for a hot second, but a vampiric Juggernaut catches him off guard and breaks his spine. As the X-Men feast on the citizens of New York, Doctor Strange's spirit possesses the Punisher, and together they set out to stop Wolverine and his servants. During the battle, Kitty Pryde gets caught in the crossfire and loses her head, which is enough to snap Logan back to his senses—at least temporarily. Under the Punisher's direction, Wolverine recites one of Strange's incantations, and all of the vampires turn to ash, leaving the Earth free of monsters, but woefully unprepared for any super-powered threats that might head its way. Mark Millar and Steve McNiven's "Old Man Logan" storyline—the inspiration for Logan, the third solo Wolverine flick—is a dark and depressing tale filled with superheroes doing decidedly unheroic things (remember, this is the comic in which the Hulk hooked up with his cousin, She-Hulk, and produced a brood of gamma-irradiated mutants). And yet, even among all of that misery, the X-Men's fate is particularly grizzly, if not overly complex: Wolverine killed them. Every single one. Okay, so the actual story is a little more complicated than that—after all, these are X-Men comics. Before the Abomination, Magneto, Doctor Doom, and the Red Skull conquered the United States and transformed it into a dystopian wasteland, a band of supervillains stormed the X-Mansion. 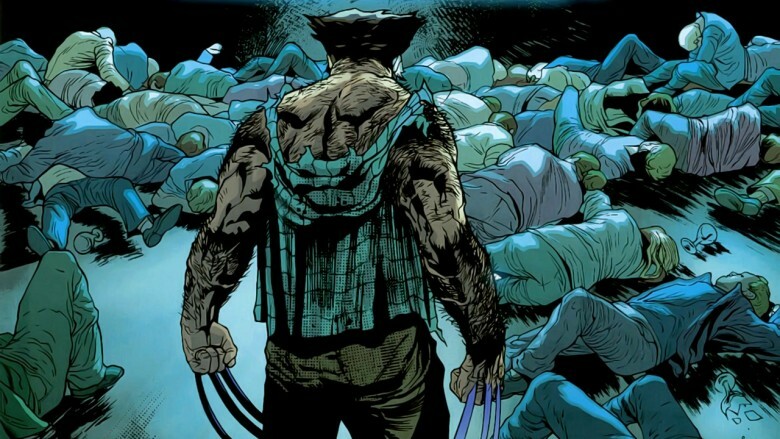 With his teammates nowhere to be found, Wolverine took a stand and fended them off, murdering every single attacker while Xavier's students fled. When you're an X-Man, you get used to travelling to alternate dimensions and divergent timelines. 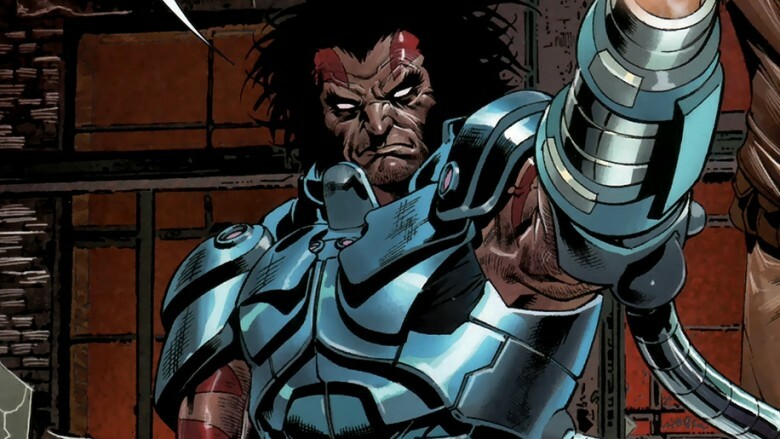 Still, it couldn't have been easy for the main continuity's Wolverine when he travelled to the Age of Apocalypse and discovered that not only did his doppelgänger transform into a supervillain, but that the rogue Wolverine took the place of Apocalypse himself. The members of X-Force find themselves trapped in the Age of Apocalypse in Uncanny X-Force #11, and while the team tries to find a mystical object called the Life Seed, which could save their friend Archangel, Wolverine is forced to face alternate reality versions of his lost loved ones. He flirts with Jean Grey, who was married to the Age of Apocalypse's Logan. He runs into Kariko, the daughter of Wolverine's former flame, Mariko, and that dimension's Weapon X. And in Uncanny X-Force #12, Wolverine finally meets himself—a despot who wears Apocalypse's gear and goes by the name Weapon Omega. Weapon Omega kills Kariko (because, even in an alternate reality, Wolverine isn't going to win any Father of the Year awards), then reveals that he's planning on picking up where Apocalypse left off by helping the ultra-powerful aliens, the Celestials, wipe humanity off the face of the planet. Wolverine and the rest of X-Force escape Weapon Omega and his horsemen and head home, but the Age of Apocalypse's Jean Grey stays behind to fight her husband—or whatever it is he's become. 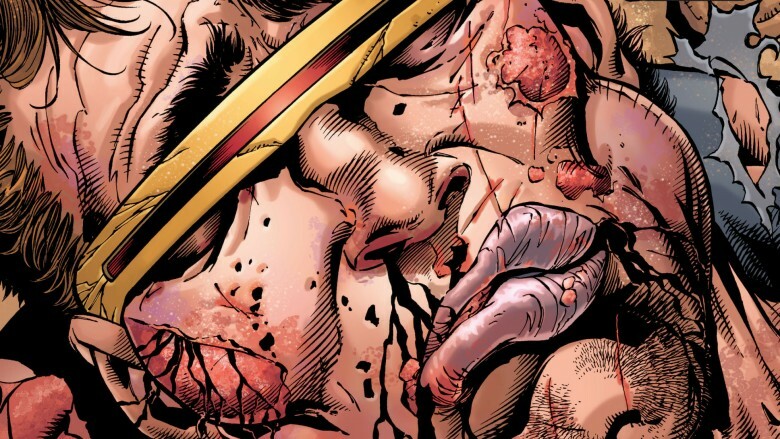 Wolverine has done many horrible things—and all of them seem to catch up with him at some point. Take Frank Simpson, for example. 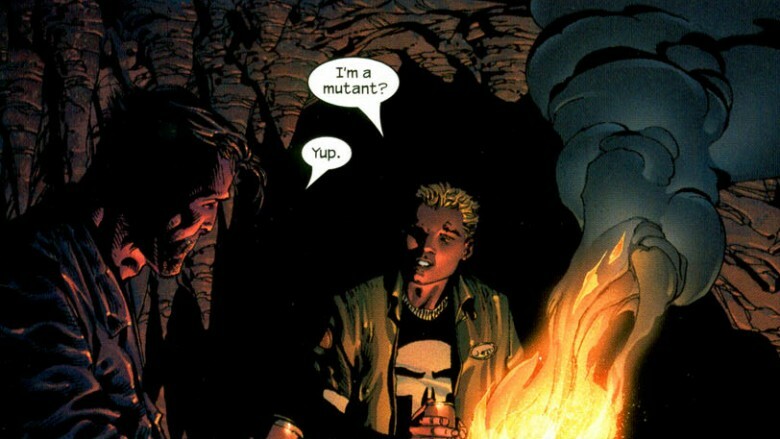 As a young child, Frank was already fairly disturbed—well before Frank and Wolverine crossed paths, Frank's babysitter convinced the boy to kill his mother—but things got even worse for Simpson after Wolverine executed his father and kidnapped the child, enlisting him in the Weapon Plus program (the same secret operation behind Steve Rogers' transformation into Captain America, Wolverine's adamantium skeleton, and Deadpool's healing factor). It gets worse, too. While serving in Vietnam, Frank is captured by Viet Cong soldiers. Wolverine intervenes, but instead of rescuing the poor guy, Logan tortures him, slowly stripping away Frank's identity and breaking his psyche into pieces. 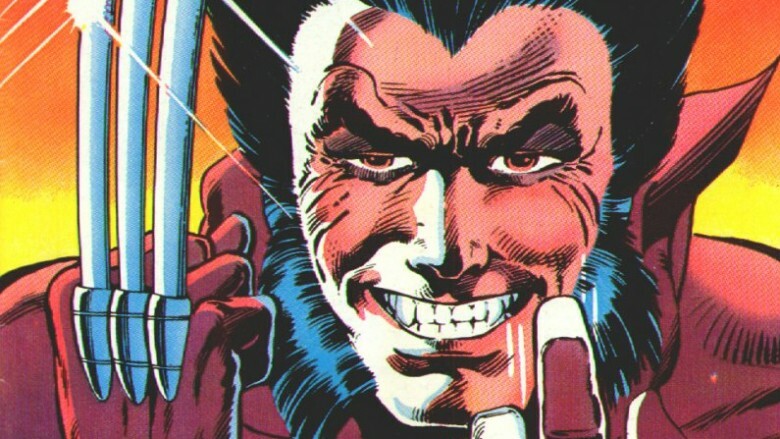 There's a method to Wolverine's madness, of course—he's actually brainwashing Frank and turning him against his captors—and as soon as Wolverine is out of sight, Frank goes full-on Manchurian Candidate, slaughtering the soldiers and burning their village to the ground. Wolverine's brainwashing campaign is a victory for the United States, but things don't end up well for Simpson. Following his stay in Vietnam, Frank resurfaces as Nuke, a psychopathic mercenary with an American flag tattooed on his face, and spends years hunting Daredevil and Wolverine at the behest of the Kingpin, HYDRA, the Thunderbolts, and the United States government. Wolverine's unrequited love for the X-Men's fiery psychic, Jean Grey, played a minor role in writer Chris Claremont's early issues of Uncanny X-Men, but the love triangle between Logan, Cyclops, and Jean grew increasingly important as his run continued. In the '90s, X-Men: The Animated Series made Wolverine's crush on Jean a major character trait, and Director Bryan Singer went on to make the Wolverine-Cyclops rivalry one of the cornerstones of the very first X-Men feature film. Still, it wasn't until Ultimate X-Men #29 hit stands in 2003 that the soapy romance plot reached its inevitable conclusion. While on a mission in the Savage Land, Cyclops takes a nasty fall off the edge of a cliff, barely grabbing an outcropping in time. That's not enough. Cyclops calls out to Wolverine for help, but instead of coming to his teammate's aid, Wolverine lets Cyclops fall—and then, with Scott Summers finally out of the way, returns home to woo a clueless Jean Grey. Unfortunately for Logan, Cyclops survives the fall. Stranded at the bottom of the mountain, his bones broken, Scott survives for a month by snacking on plants and insects that happen to get too close. Eventually, Magneto's henchmen rescue Cyclops and nurse him back to health—and when Scott finally returns to the X-Mansion, let's just say that he's none too happy with his so-called "friend." This is how Wolverine helps his friends: he takes them to a bar, gives them so much booze they can't even stand up straight, and then leaves them at the mercy of a pissed-off supervillain. Don't believe us? That's exactly what Logan does to Piotr Rasputin, the mutant better known as Colossus, in Uncanny X-Men #183. After returning from Marvel's first Secret War, Piotr dumps his teenage girlfriend, Kitty Pryde, claiming he fell in love with another woman while adventuring off-planet. Kitty is devastated, and Logan, who considers Kitty his protege, isn't too happy either. Wolverine, Colossus, and Nightcrawler take refuge in a Manhattan dive bar, where Wolverine spends the evening scolding Colossus for the way he treated Kitty. Eventually, Logan calls Piotr a coward, and the Russian mutant staggers to his feet—spilling some beer on the Juggernaut in the process. Juggernaut attacks Colossus, and while Nightcrawler wants to help his fellow X-Man out, Wolverine holds him back. Colossus is too drunk to put up much of a fight, and before long, the bar is ruined and Colossus is out cold. 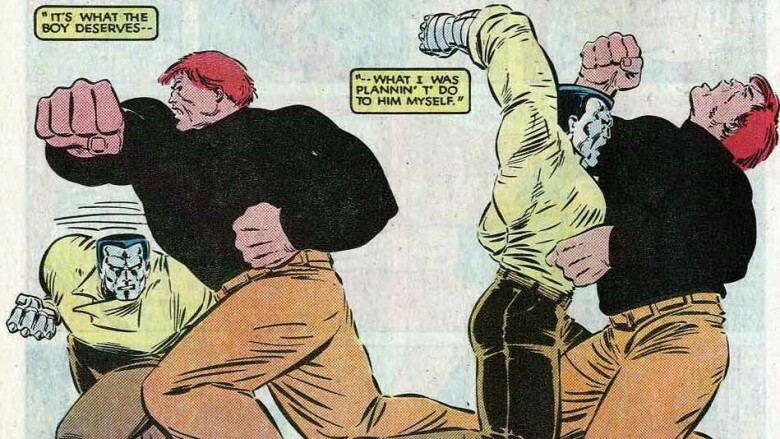 That's a good thing, according to Wolverine—if Juggernaut hadn't shown up, Logan would've had to beat up Colossus himself. As Wolverine tells Nightcrawler, Kitty offered to sacrifice herself to save Piotr from the Morlocks, a group of mutants who live underground, and Colossus dumped her for her trouble. "A body can't do that, 'specially to someone they love," Wolverine explains. "It's a taste of what he did to Kitty. He knows now what he did. Next time—whatever the outcome—he'll act from choice, not ignorance." That kind of makes sense, but even so, if that's how Wolverine treats the people he likes, the people he doesn't really need to watch their backs. If you're concerned that Wolverine only kills his own kids, don't worry: he's got no problem killing other people's either. In Avengers vs. X-Men, Wolverine tries to kill Hope Summers in order to stop the deadly Phoenix Force from returning. In the pages of All New X-Men, Wolverine argues in favor of murdering the young time-displaced Scott Summers before he can grow into the war criminal Cyclops. And in Ultimate X-Men #41, Wolverine follows through on his words and takes out a young mutant—at Professor X's behest. The teen (who isn't ever named) didn't ask to be a mutant, and he certainly didn't mean to kill his family, friends, or 265 other people with his developing powers. That doesn't matter to Wolverine, however. Logan tracks the distraught teenager to some caves by the beach, and after a brief talk, kills him—not for the kid's sake, mind you, but because if the public ever learned that a mutant was behind the slaughter, the government would strike back at the entire mutant population. "So, see, there's a bigger picture kind of thing going on," Wolverine says, and that's as close as he gets to an apology before he murders the young boy in cold blood.